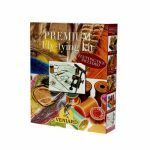 There are just loads of materials in this kit to satisfy the keen beginner and established tyer alike. Now supplied complete with a No.12 Lever Vice, tools & a selection of hooks. It also contains the Veniard Fly Tying for the Beginner and One Hundred & One Fly Dressings Booklets. This kit is ideal for any level of experience, in all areas of the craft. There is a heavy emphasis on new materials such as Glister, Cactus, Flexifloss & Krystal. The hooks supplied cover a variety of types of prime quality. The Veniard No. 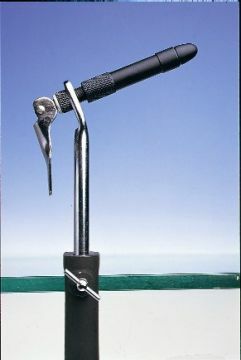 12 vice, (included), is a well constructed rotating, lever operated vice that will take hooks in a wide range of sizes from the small trout to larger salmon hooks. Finished in heavy chrome. Tools include bullet bobbin holder, dubbing needle, hackle pliers, scissors & whip finish tool. 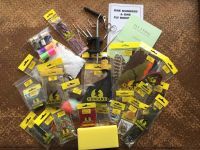 A well thought out kit, the image doesn't really do it justice, to give you a really good start to tying.